OH I'LL JUST DRAW A COMIC WITH BALLOONS THAT'LL BE SIMPLE HUH JUST SOME BALLOONS IT'LL BE A NICE EASY WEEK HUH WHAT A GOOD IDEA 'WEEK-AGO-ME'. ...so yeah this took a long time huh go figure. You know what else took a long time this week? 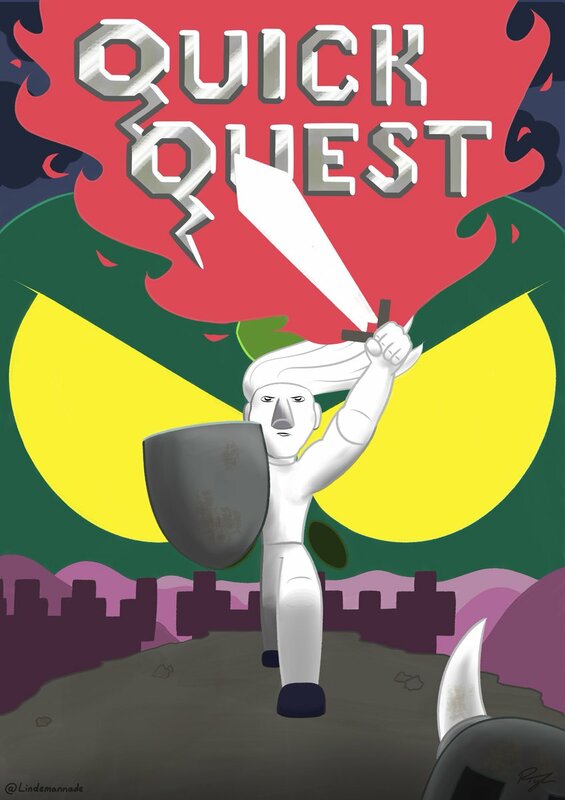 Ironically it was this fan art I made for Quick Quest, a game (just about) made by the excellent Wesley Hall of the comic Nameless PCs! Go check 'em all out!